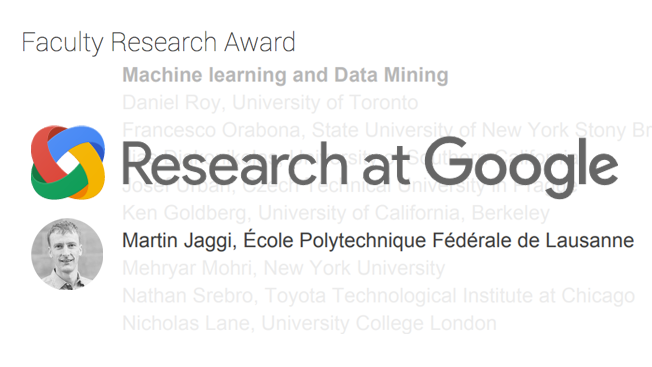 Martin Jaggi is a recipient of the prestigious 2016 Google Faculty Research Award for his proposal on “A Computational View on Sentence Embedding”. Martin and his team will attempt “to improve the quality, the computational performance and the theoretical understanding of learning representations for sequences of words from unsupervised machine training”. You can find more information on Martin’s work here. The Google Faculty Research Award funds “world class technical research in computer science, engineering and related fields”.